The 11th-hour additions are part of series of substantive changes to garner the support of at least 50 senators — but some of the changes were nothing more than pet projects. One add-on from Sen. Pat Toomey, R-Pa., provides and exemption to Hillsdale College from paying an excise tax. The Republican plan imposes a new tax on universities with large endowments but Hillsdale is the only one exempt from the plan. But Democratic Sen. Jeff Merkley of Oregon offered an amendment to strike the Hillsdale carve-out from the bill. It passed with the support of all Democrats and two Republicans, meaning the college likely won't get special treatment. 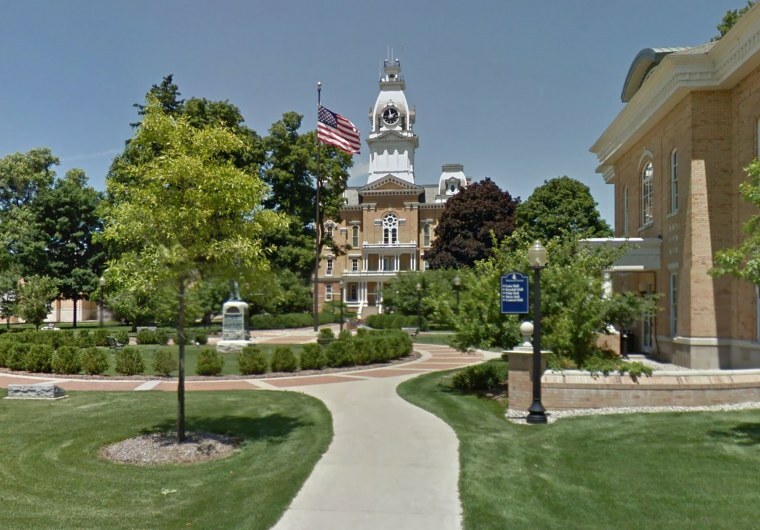 Hillsdale, a school with an enrollment of about 1,100 with online enrollment in Michigan, centers its teachings on the western philosophy and religion and the Constitution. The college doesn’t accept federal or state funds. One politically connected alumni is the head of conservative, small-government-touting organization Club for Growth, Chris Chocola. He is also a former congressman from Indiana and is close with Toomey, the author of the legislation. Toomey’s office, the Club for Growth and Hillsdale College have all not responded to requests for comment. But on the Senate floor Friday night, Toomey defended the exemption, saying that if any other school declines federal funds, then they could possibly qualify as well. “I don't know which of them to forgo tax payer money. If they do, then they qualify,” Toomey said. Another politically connected alumni include Erik Prince, the Blackwater founder and brother of Education Secretary Betsy DeVos, who is championing private and charter schools. DeVos is from Michigan and is also a major Republican donor. In another last-minute tax carve out was offered by Sen. Dan Sullivan, R-Alaska, that exempts cruise ships stopping in Alaska from paying a tax. “This amendment was important to ensure local businesses and tourism reliant communities – who rely on the more than one million cruise ship passengers who visit Alaska each year – would not be negatively impacted by this bill,” he said in a statement. When the Senate first began the process of tax reform two months ago, Republican leaders ensured a proposal to open the Arctic National Wildlife Refuge to oil drilling. It’s an issue long-pursued by Sen. Lisa Murkowski, R-Alaska, who was considered to be a difficult vote in favor of the tax bill. CORRECTION (Dec. 2, 2017, 12:20 a.m., ET): An earlier version of this story misstated the enrollment of Hillsdale College. It is 1,100, not 350.